Today I am going to write to you about my personal top 6 drugstore foundation for 2012. I will write some details concerning each product. The foundation are presented in no particular order. Which one do you like best? What is your favorite drugstore foundation? What are your top drugstore foundations for 2012? Leave a comment below! The Maybelline Fit Me! Foundation has 18-shades. If you are not sure what shade to get, go to their website, answer a few short questions and in seconds find out what foundation shade works best for you. As for blending, it blends seamlessly into the skin. 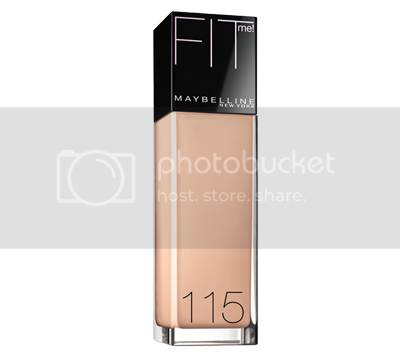 The coverage power of Maybelline Fit Me! Foundation is medium to full coverage. The foundation has a weightless feeling. I would recommend it for its excellent coverage power, feeling on the skin, finish, value, and blending powers. If you have slightly oily skin get it, since it does give a quite matte finish whilst giving the skin a natural glow that won’t seem oily. Gotta love Maybelline Fit Me! Foundation. I use 2 pumps to get gull coverage and I love to use my Sigma Beauty Makeup Brush to buff it in. Since it has a very lightweight feeling to it the texture was made for easy application and blending. As I wrote earlier you decide what coverage power you want full to medium coverage. It covers quite well and still gives you a lightweight feeling. No one likes to feel foundation on his or her skin. 3. Is Maybelline Fit Me! Foundation for everyday? Many people forget to ask this question when buying a new foundation. This one does not have a heavy feeling like most drugstore foundations so it makes it daily friendly or better said great for everyday application. 4. Longevity of Maybelline Fit Me! Foundation? Good news everyone! This foundation has good longevity powers and lasts quite long! 1. Oily Skin – if you have really oily skin then skip this foundation. The dewy effect can result in an oily effect. Since the texture is soft and creamy, it’s quite easy to blend it with (sigma beauty makeup brush) and without a brush. The coverage power is full and because it blends into the skin with easy it truly does seem to minimize fine lines and imperfections, what is expected from full coverage. The skin get an almost airbrushed effect without setting into fine lines what results in flawless skin. 3. 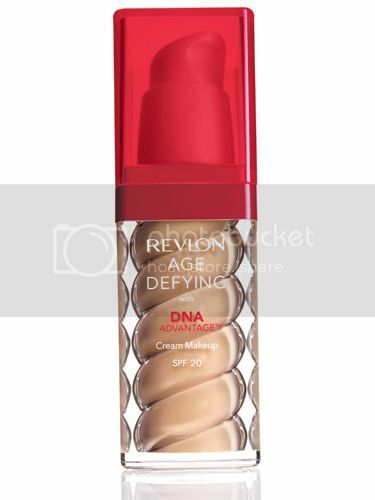 Is Revlon Age Defying with DNA advantage cream makeup foundation for everyday? I would say no. Since I did mention that is does contain some luminosity, keep in mind that this is formed with some golden/silver shimmer like particles, which could be visible on certain light. Bad news the coverage goes from full to a sheer coverage what means that is breaks down after a few hours. 1. Oily Skin – if you have oily skin then skip this foundation the luminosity aka shimmer might result in oilier skin than you already have. 2. Recommended for – I would say aging skin that lost it’s naturally dewiness for any reason. Any maybe very dry skin that lost it’s dewiness. Bourjois Healthy Mix Serum Gel Foundation was my favorite drugstore foundation until I discovered my HG high-end foundation. The foundation is hypoallergenic so it’s ideal for skin types like mine, sensitive! This foundation comes in two types one is for oily skin Bourjois Healthy Mix Serum Gel Foundation and the second one, Bourjois Healthy Mix Foundation which is more for normal skin. They claim that this is a radiance-boosting fruit therapy foundation for flawless complexion. Long lasting 16 hours, give radiance, hydration for 8 hours, antioxidants, and energy to the skin and best this let’s the skin breath. Now let’s see what true about the Bourjois Healthy Mix Serum Gel Foundation. Since the texture is smooth and creamy, it blends with amazing easy! I love blending it with my sigma beauty makeup brush. 2. Coverage Power of Bourjois Healthy Mix Serum Gel Foundation The coverage power is sheer to medium. Since the foundation offers this kind of coverage it won’t fully cover all your flaws, such as acne scars and under eye bags, but it still does give good medium coverage with built up to it. The good thing is that you really can’t feel the foundation on your skin, even when you build it up to medium coverage power. 3. Is Bourjois Healthy Mix Serum Gel Foundation for everyday? I would say definitely! Since the foundation is hypoallergenic this means that even most sensitive skins can wear this with minimum worries. The foundation offers a semi-matte finish with a beautiful naturally healthy glow. The longevity is decent. I have noticed that it won’t last all day long and that it will start to break down after 6 – 8 hours (depends on your skin type) and during summer even shorter but your skin can breath underneath it and it has a lightweight feeling. 1. Oily Skin – if you have oily skin no worries this foundation is excellent for you. 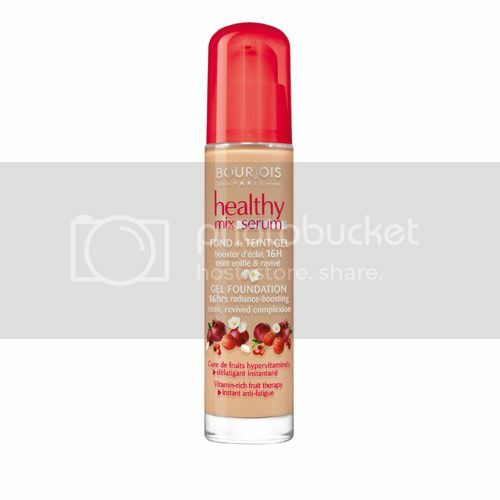 If you have normal skin give the Bourjois Healthy Mix Foundation a try and even this one is good too. 2. No SPF – the bas side of this foundation is that it has NO SPF, meaning that it looks great on photos but you will need to wear SPF under to avoid the harsh rays from the sun. 2. Recommended for – anyone that has any skin type and age, that wants dewy natural looking and lightweight feeling foundation. Even though it has a smooth feeling it’s thick!! This is one foundation where you need a brush like my Sigma Beauty and you need to blend and buff and buff it into the skin to make it seem natural. The foundation dries FAST so it’s best to work with a brush and buff the foundation into the skin. I would say that the foundation does not go on with true ease after using it for over 3 years. The coverage power medium to full just like Revlon claimed. This is probably the best medium to full coverage foundation that I have used up until now! This puppy covers the majority of flaws and even under eye bags. 3. Is Revlon ColorStay Foundation for everyday? Honestly, I would say no! Use this foundation maybe 3 days a week and the rest of the days in the week use a more lightweight or sheerer foundation so that your skin can breath. The foundation can only be taken off properly with makeup removers due to its almost waterproof powers. 4. Longevity of Revlon ColorStay Foundation ? All day long and even longer! Revlon didn’t lie about this one! It gives a true 12 + hour coverage. I dare to say 24 hours or at least until you take it off with makeup wipes or something similar. 1. 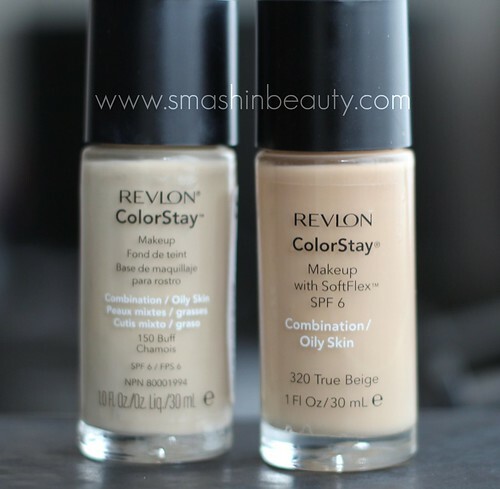 Oily Skin – no worries just get the Revlon ColorStay Foundation for oily skin! It controls the oils! 2. No SPF – minimum of SPF 6 what even photographs decently! 2. Recommended for – all skin types and ages that want true 24 hour full coverage. Like butter I would say. The mousse truly has a mousse like texture and even though it’s silky and smooth I use my fingers on this one only. It’s so soft that I fear if I use a brush the bristles will soak up all the mousse-ness?! LOL. Scoop the foundation with a sterile spoon or spatula and place it on the back of your hand, pick it up with your fingers and press and apply the foundation onto the skin. Make sure to blend it all in well or clumps will appear with the foundation dries and it will fall off your face and onto your skin. The good thing about this foundation is that it contains jojoba oil that keeps the skin moisturized. The foundation dries to a soft matte finish. It does give medium coverage and if build up correctly even full. The keep to getting a natural finish is blending and get ready to say goodbye to pores, boy does it cover pores well! 3. 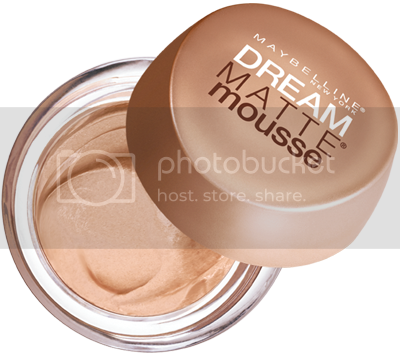 Is Maybelline Dream Matte Mousse Foundation for everyday? I would say yes if you want to deal with the mouse and special application way. 4. Longevity of Maybelline Dream Matte Mousse Foundation? Not your summer foundation that is for sure. The extra smooth and silky feeling wears off your face after 2 or 3 hours, cause it’s that smooth! 1. Oily Skin – very oily skin skip it. Normal to oily and combination skin use it but be prepared to blot! 2. Recommended for – all normal – combination skin types and some normal – dry skin types. Normal skin and some dry skin types might get the most out of this! All ages! My cousin introduced me to Max Factor Miracle Touch Liquid Illusion Foundation. She has been using this foundation for years. She has normal to combination skin. 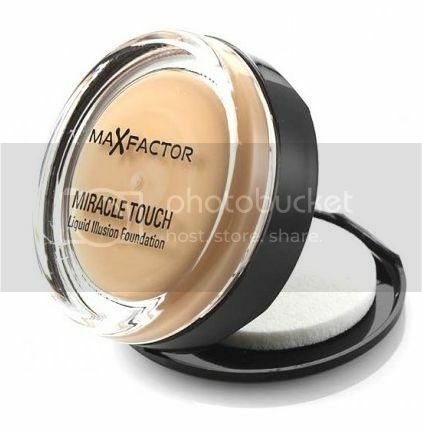 Max Factor claims that this is the most innovative foundation that will revolutionise the way you apply your Max Factor Miracle Touch Liquid Illusion Foundation. The foundation is a lightweight solid to liquid formula and powder combination that creates the perfect base with one simple application. Is this to good to be true? We shall find out soon! Max factor claims that with this foundation you will get a flawless, fresh and incredible smooth complex with a dewy radiance. Let’s see what is true about Max Factor Miracle Touch Liquid Illusion Foundation. I do not know why Max factor mentioned that this can be a liquid formula when it’s truly more like a cream foundation that has a powdery finish or better said very matte finish. Best way to apply this foundation with ease is with the sponge that you get in the container, best way to apply foundation is with a damp sponge. The coverage power is very good! When you use this foundation you will need no to minimum concealer usage, depends on your skin. The coverage is high and very good! 3. Is Max Factor Miracle Touch Liquid Illusion Foundation for everyday? Definitely yes! This is an excellent everyday foundation for normal to combination skin. On the other hand I do not recommend this for dry skin it will cake and around any dry patches. It has a very good longevity! 1. Oily Skin – A very good foundation for normal to combination skin. Cream foundations tend to “travel around the face” if not set. I still believe that since the foundation sets matte this would be a very good foundation for oily skin and even very oily skin, but you might need to blot. 2. Recommended for – for skin with minimum fine lines and normal to combination skin types. 3. Tip – try to scoop out the foundation with a spatula to avoid contaminating the foundation.